Blurb: She changed her name. She changed her life. But someone won't let her go. The brand-new novel of love, drama and hope from legendary Nora Roberts. 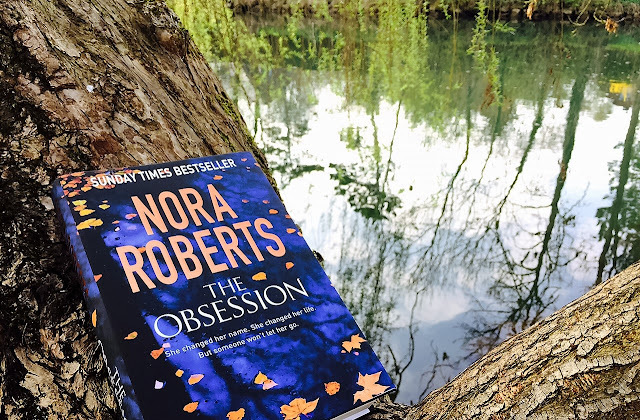 Review: I only started reading books by Nora Roberts a couple of years ago, but the ones I have read since then have shown me what a great writer she is. The first thing I thought when The Obsession landed on my hands was, what a huge book, it is going to take me forever to read. Wrong. This story captured my attention since page one and the hours flew by while reading it. The story starts when Naomi is only 11 years old, about to be 12, and discovers something horrible about her father. Something no kid should know nor see. After that, Naomi, her younger brother and her mother move with their uncles to leave their old life behind. As the years past, though, we soon discover it is not that easy to leave your past behind. I found this part really fast paced and highly interesting. Naomi won my heart on the first page and held it until the end so I think that this first part was crucial to make us understand her and her actions better. The main part of the book is set a small village in the state of Washington, where Naomi, already an adult, has decided to finally put down roots after years of moving around the country. She wants a quiet and isolated life but her new friends have another idea and she soon falls in love with the community and an adorable stray dog (he is probably the star of the book). This part of the story starts quite slow, we get quite a lot of descriptions of her new place and the surroundings. But I enjoyed it anyway, especially as we get to know gorgeous Xander. I loved this character and how confident and honest he was. Also, his house was full of books, as in every wall was covered in book shelves! 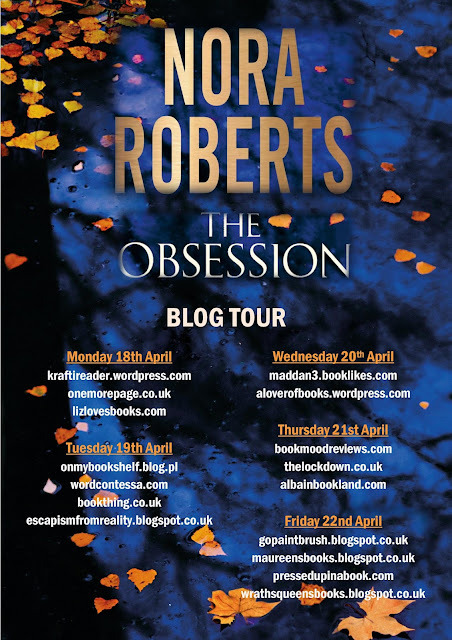 But then, when everything seems to be going too well to be true, Naomi's past catches up with her and the story turns into a tense mystery. By then, I was so immersed in Naomi's story that I found myself reading non stop, holding my breath with every new developement. I found it interesting to read some scenes from the "monster"'s point of view. They were really chilling, not suited for light-hearted people, but gave another deeper dimension to the story. 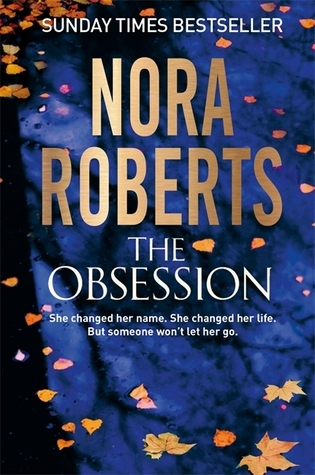 All in all, The Obsession delivered what it had promised (and some more): friendship, love, romance, mystery, tension and drama. Another winner by this author in my opinion. I have to admit that I guessed the ending when I still had 80 pages left (after suspecting about everyone possible) but this fact didn't spoil the story at all. Especially with such well crafted and deep characters. Sounds like a good book. The colour will stand out. It is Tanya! :) You are right, the colour of the cover is gorgeous, I love this deep blue!